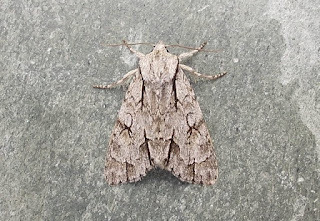 A dagger species taken at MV light at Upton Warren NR on the 21st July, very close to a mature Blackthorn bush, looked a bit smaller and somewhat different to another Grey Dagger here at Warndon (has bred in my Birch tree) the next day. 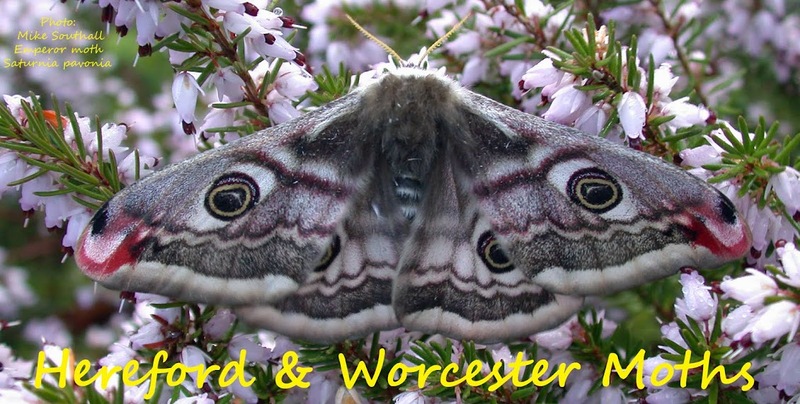 Patrick Clement kindly dissected the moth and found it to be a female Dark Dagger and matching almost perfectly plates on a dissection website. 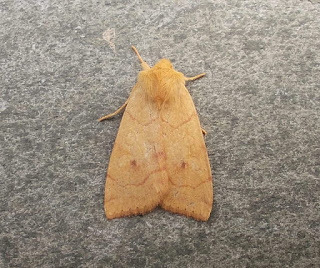 Amongst the throngs of Common Rustics here every summer I get one or two each year which are much smaller than the majority and closely resemble one posted from Suffolk on UK Moths. I am happy these are Lesser Common Rustic and will one day get one determined properly. 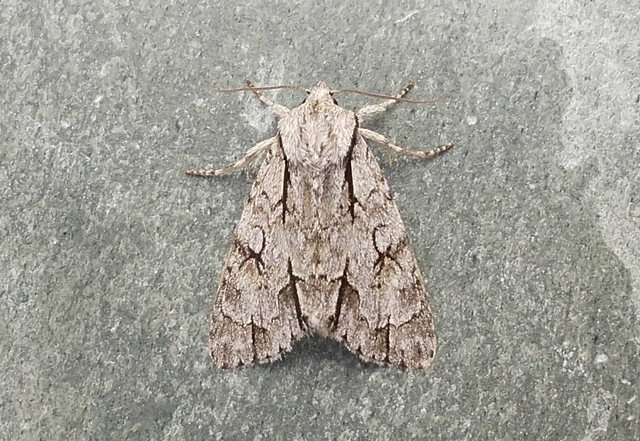 A cool, clear night at Chaddesley Wood last night resulted in a catch of 44 species (100 less than that of 2nd August!) 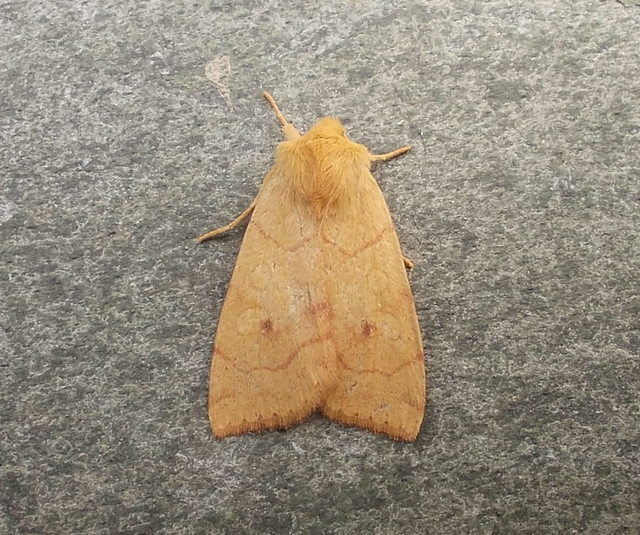 but an Angle-striped Sallow made it worthwhile. 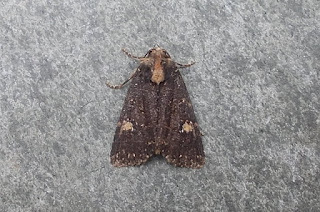 I have found that most Lesser Common Rustics confirmed from chopping have been slightly larger than the standard Common Rustic. One day, will promise test one of these !